They are kind of funky, sort of. If you hold your mouth just the right way, the Soul is sort-of “kool”. 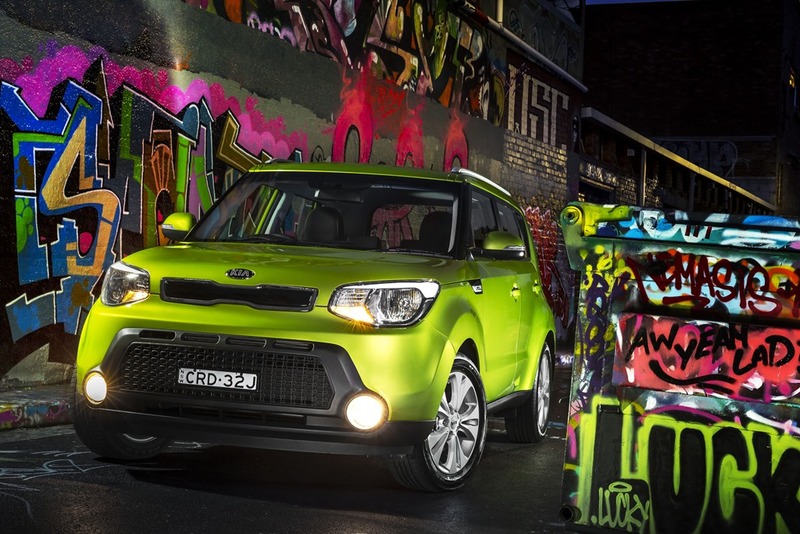 Indeed in the USA Kia’s soul is a huge hit with the yanks having a love of the retro box on wheels. Who is going to buy it? Will the gays in the village like it? 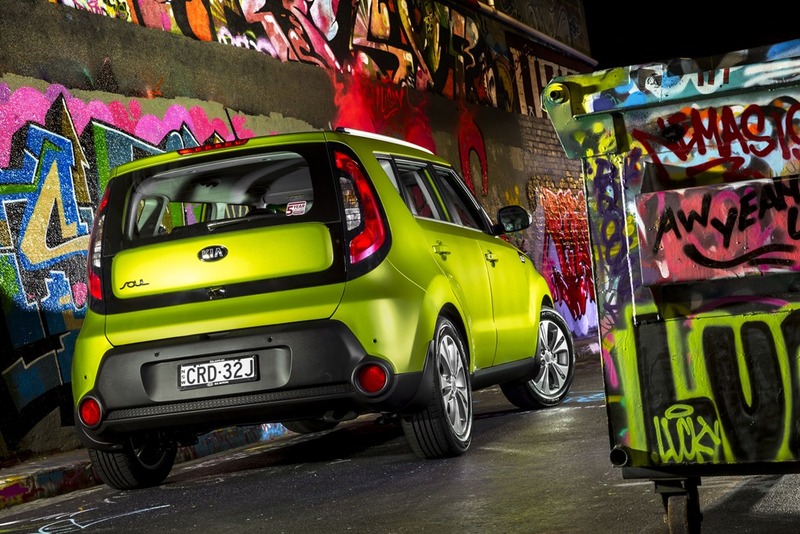 Kia are positioning the new model as a small SUV, which is a smart move. Can I imagine a couple of the chaps and their dogs heading for a picnic in the country in one? Actually, yes. It’s now Euro 5 compliant, which sees the power drop to 113kw. The glamorous launch saw a drive program through the Royal National park where the power drop did not present much of a problem. You have to be prepared to change gears a lot as it runs out of puff on hills but it rides extremely well and is incredibly quiet. Only the hardest of work from the engine will have noise coming into the cabin. The handling improved hugely with the steering in “sports” mode. It is the sharper of the 3 modes and the only one I would use. The handling is surprisingly good since it is neither a sports car nor a Euro-Snob. 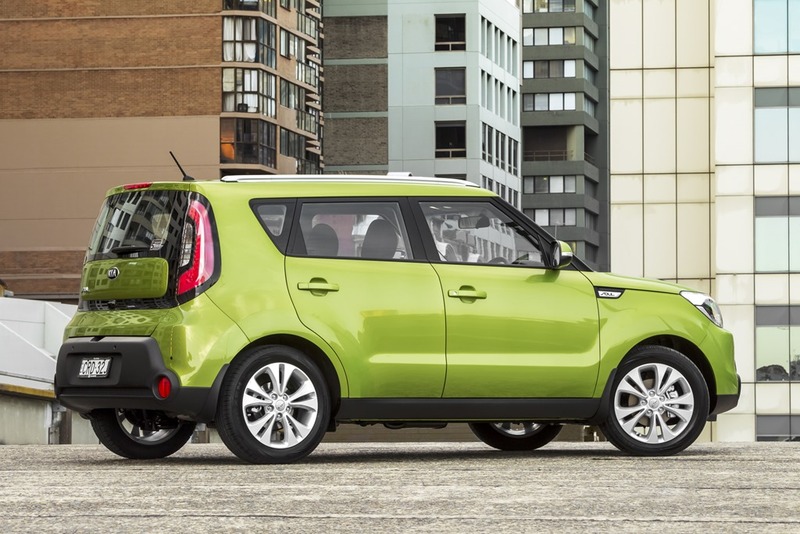 Despite the fact that Kia are now modelling the Soul as a micro-SUV, I cannot get my head round the moniker. It has not been the volume seller for Kia due in part to the price so the new model gets more gear for fewer bucks. Although the sheet skin is new, it looks very much like the old car. I like the rear end, which will come as no surprise. It is perky and pert looking like someone built it out of Lego bricks, in fact the whole thing looks like a Lego car built from a kit, and I like it. Kia went to great pains to mention the theme of circles, yes circles. I would have said it was more like boxes. The circles become more obvious inside where the tweeters sit on top of the air vent. 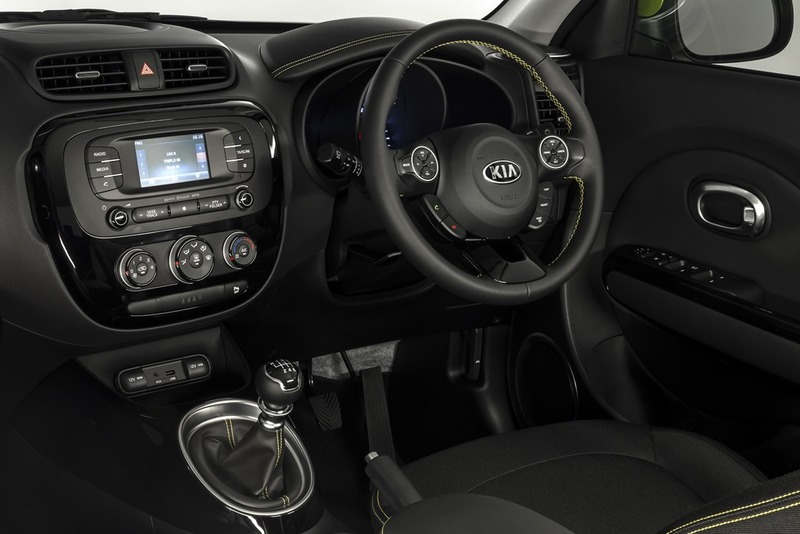 There are more circles in the infotainment precinct of the dashboard as well as on the steering wheel. There is a certain funkiness about it and the quality of the cabin is vastly improved. From the rear the boxiness is emphasised with the wheel arches protrude boldly giving a masculine look. All round, the Soul gets good marks for value and the looks are those which you either like or don’t. I have a feeling the segment has been somewhat ruined by the lack of success of Nissan’s cube and Toyota’s Ruckus. Soul is the best looking of the three and a segment that perhaps warrants a second look. 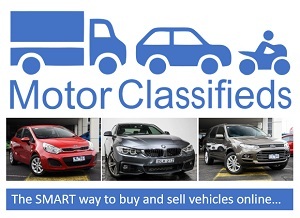 Standard equipment will include ESC with ABS and BAS, Hill Start Assist Control, Vehicle Stability Management, Tyre Pressure Monitoring System, MDPS steering with FlexSteer, six airbags (front, side and curtain), cruise control, reversing camera, tinted glass, 60:40 rear folding seats, rear parking sensors, Bluetooth, air-conditioning and tilt and telescopic steering adjustment. Power: 113kW/191Nm at 4700rpm.2.0-litre Nu MPI petrol.